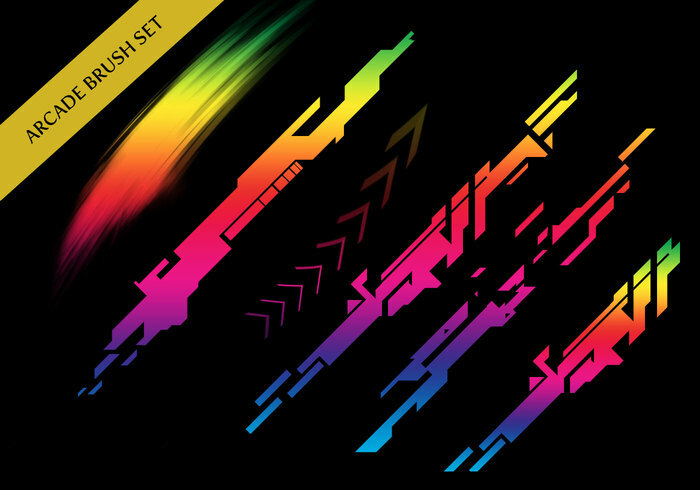 Arcade Brushes - Free Photoshop Brushes at Brusheezy! Details: Size of Brushes: 1000 Pxls Width Brushes Made By: ShiftyJ Number of Brushes: 17 PS Version: CS3 Rules: - You may use these brushes for Personal use, credit is appreciated. - You may NOT use these brushes for Commercial use without my permission. Contact me if needed. Very, very good. I love all of them. Thanks a lot. Create a new layer after the text, draw over the text with the brushes, right click the layers and click "create layer mask" and there yuh go! this is really nice Brushes!! How did you make the TEXT like this? Es espectacular este brushes !!! thanks a lot man!! so FFFFFFF great!